A closet full of moldy clothes could cost thousands of dollars to replace! No one wants to throw out their clothing, bedding, curtains and other valuable material items. Now you don’t have to. Thanks to BioCide Labs two step mold laundry detergent extraction system your clothes will be as good as new! We are a leading U.S. manufacturer of mold remediation products and BioCide Labs produces the only professional grade mold extraction system designed for clothing. This unique 2 step system gets the mold out in just one treatment and does not require any special equipment! Our whole house was covered up with green mold. My mold remediator told me I had to throw out all our clothing, bedding, curtains anything mad of fabric. I was sick to my stomach. Insurance wasn’t covering anything much only the water damage portion of our claim. 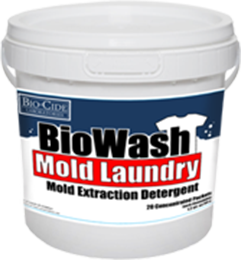 My wife ran across the BioCide website with the BioWash Mold Extractor system for clothing. The price of the BioWash was way cheaper than throwing out all of our stuff, so I felt we had nothing to lose and everything to gain. Being sick from the mold was bad enough, but I thought my wife was going to have a coronary when we were told to throw out, our sheets, pillow cases, clothes and all things that had porous fibers. A friend told me about BioWash BioCide Mold Laundry Detergent and low and behold we didn’t have to throw one article of clothing away. If your cloths have mold in them BioWash did the trick for us. And it cost a whole lot less than starting over from scratch! The mold remediation of our home financially destroyed us along with the doctor bills from this mold sickness thing. I was afraid to keep anything. I told my wife throw it all out. She was looking around online and stumbled across BioCide Labs and a product called BioWash Mold Laundry cleaner. I was against it, but she ordered some anyway. Well it turned out I was wrong and the stuff really worked on our clothes. I have to say it’s nice to buy a product that actually does what it says it’s supposed to do! Adjust water temperature based on the type of fabric. For white and colorfast fabrics, use hot water. 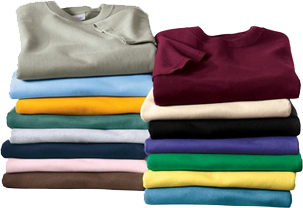 For permanent press fabrics use warm water. Best results are obtained with a cold water rinse. Begin to fill washer with water. Add one (1) packet of BioWash liquid presoak Mold Extractor. For heavily mold contaminated clothing use two (2) packets of BioWash liquid presoak Mold Extractor. Add clothing to washing machine. Allow clothing to presoak for twenty (20) minutes. Then engage washing machine to normal wash cycle. Then spin, DO NOT DRY. Remove clothing from washing machine. DO NOT put dissolvable powered mold detergent packet directly on top of clothing. Begin to fill washer with water. Add one (1) packet of BioWash powdered mold detergent dissolvable packet. After mold detergent powdered packet has dissolved. NOW add clothing back into washing machine and engage washing machine to normal wash cycle. For maximum performance, be sure the mold detergent packet is completely dissolved before adding clothes back into washing machine. Dry and fold as normal. NOTE:This Mold Laundry Detergent Mold Extractor system cleans all washables, synthetics, colors, whites, cottons, and permanent press fabrics. Because of the heavy duty composition of this mold extraction system, it is not recommended for use on silks or woolen fabrics. This Mold extraction system has a concentrated strength to remove and extract mold spores, mold stains, and mold spore vegetative hyphae. Call for wholesale pricing information.